I’ve been a student of physical culture since my early 20’s. After years of training in the martial arts and practicing yoga, I approach movement with a beginner’s mind and recognise the benefits of training the body as one functional unit. Kettlebells came to me as a supplemental tool, strength building for martial arts training. But I became hooked on this new tool and the exercise patterns that came with it. With more and more training came the desire to learn more, do more. I took my first Agatsu certification at 37 and discovered so much information, skill and variety. Now, almost 10 years later, I’ve followed Shawn and Sara-Clare from kettlebells to body dynamics and joint mobility, to Indian clubs and mace, to circus training and breathwork, and travelled aground the world with a shared thirst for knowledge. 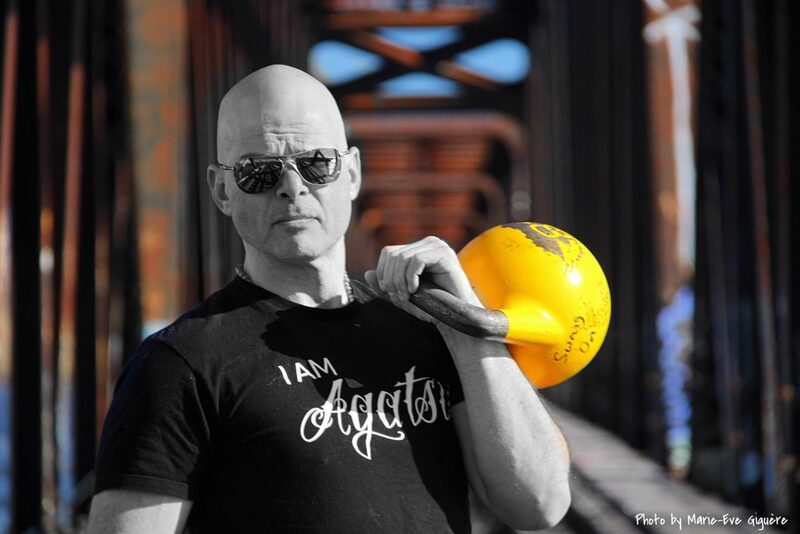 I’ve taught kettlebell training for the last 10 years in the Ottawa/Gatineau area, and while kettlebells are the “anchor” of my classes, techniques from all other Agatsu diciplines are integrated into this comprehensive program. The rise in popularity of kettlebell sport, or GS for “Girevoy Sport”, has added new dimensions and goals for me and my team. We train and compete regularly, and started hosting competitions. It is with this expertise that I come to head up Agatsu GS. I’m proud to be supporting kettlebell sport and it’s athletes. I’m also pleased to be able to introduce Agatsu Mace competition to Canada. Look to the Agatsu events for kettlebell and Mace workshops, certifications and competitions near you.